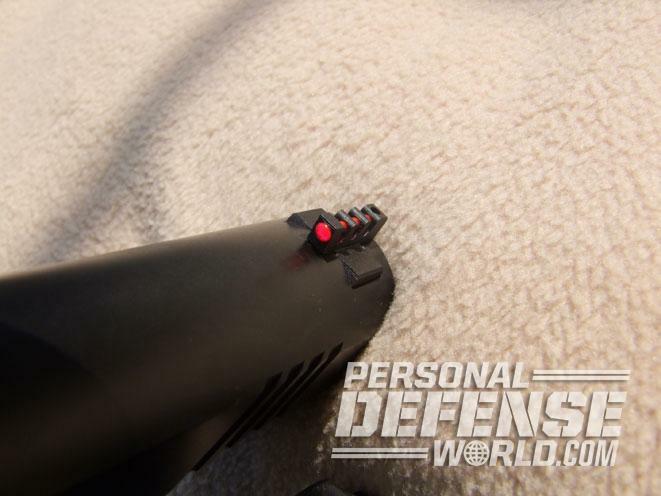 Remington’s R1 Enhanced comes with an adjustable rear sight and a large, single-sided thumb safety. The stock R1 Enhanced has a fiber-optic front sight and wide forward slide serrations. 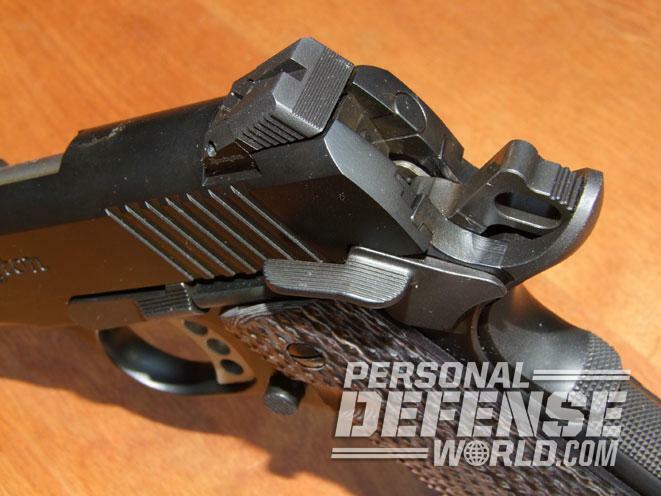 The factory beavertail grip safety’s checkering matches that on the pistol’s flat mainspring housing. Innovative Custom Guns installed a 10-8 Performance U-notch rear sight and a lightweight EGW hammer. 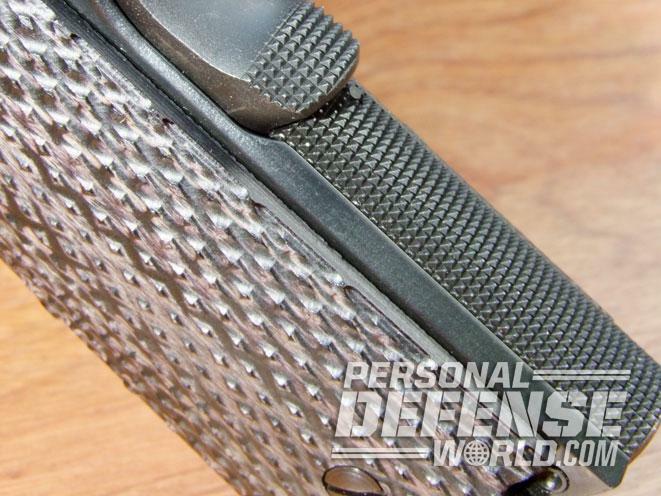 The original fiber-optic front sight was left in place because it is both bright and durable. 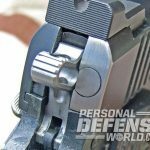 A Smith & Alexander magazine well/mainspring housing was installed for faster reloads. After the Innovative Custom Guns work, the new R1 Enhanced was ready for competition, personal defense and even duty applications. 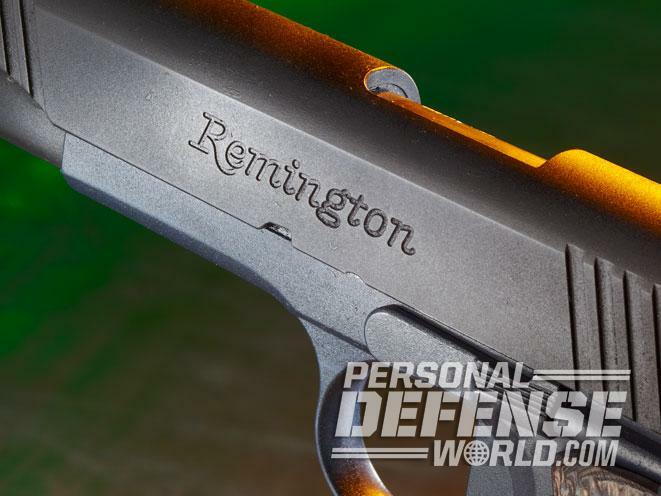 A few years ago, Remington had several writers out to T1G Training, located outside of Memphis, Tennessee. 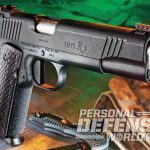 Most of my peers were busy drooling over the long guns Remington had for us to shoot, but a few of us were particularly interested by the Remington 1911 remake, the Model 1911 R1. 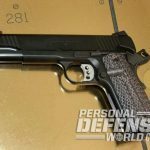 During World War II, Remington supplied thousands of 1911s to the military, and those guns are highly collectible today. 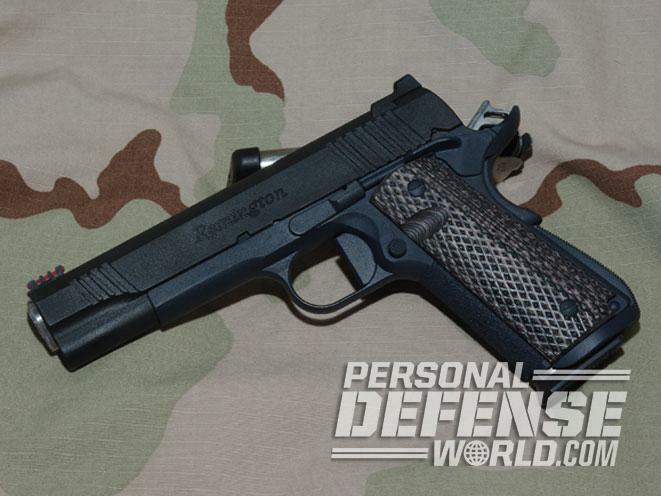 The only things in common between Remington’s R1 and the WWII 1911 are the model and the manufacturer. Gone are the loose-fitting parts, poor sights, rough finish and marginal accuracy. The R1 rivals any present-day handgun in fit, finish, reliability and accuracy thanks to modern machining, which gives precise fitting to each slide, frame and barrel. 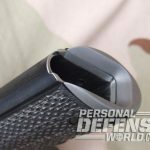 The diminutive sights and gritty, rough trigger pull have been replaced with dovetailed sights and an out-of-the-box trigger pull measuring around 5 pounds. On the range, the R1s were impressive. They digested hundreds of rounds on T1G’s Rogers Range. To be honest, I don’t recall one having reliability issues: They simply and accurately shot hundreds of rounds, knocking down the pop-up plates. The Rogers Range tests both the shooter and the equipment, and the R1s were up to the task. 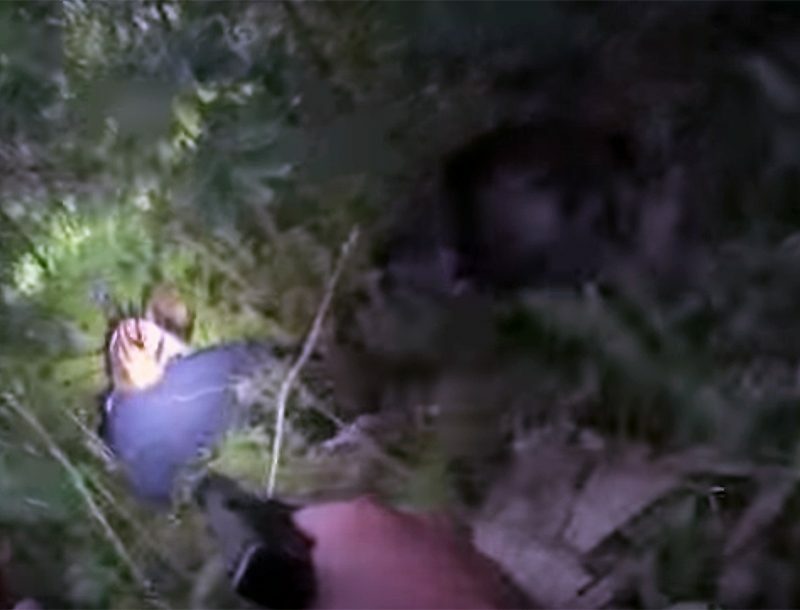 It should be noted that the R1s were being shot to the point that you couldn’t hold them. 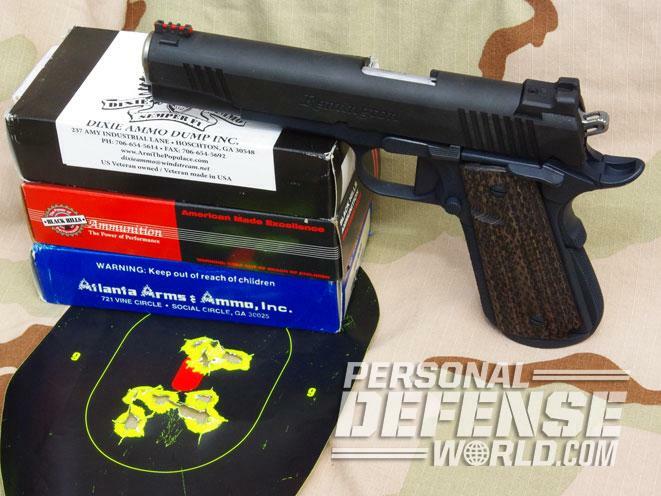 These pistols were abused, and still they ran flawlessly. While we were in Memphis, the powers that be let us know that the R1 would be available in an “enhanced” version. 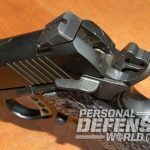 The Model 1911 R1 Enhanced would have a fiber-optic front sight, an adjustable Novak-style rear sight, an extended thumb safety, a beavertail grip safety and custom Dymondwood Linen Micarta grips. There were delays with production, and the pistol started shipping later then expected. 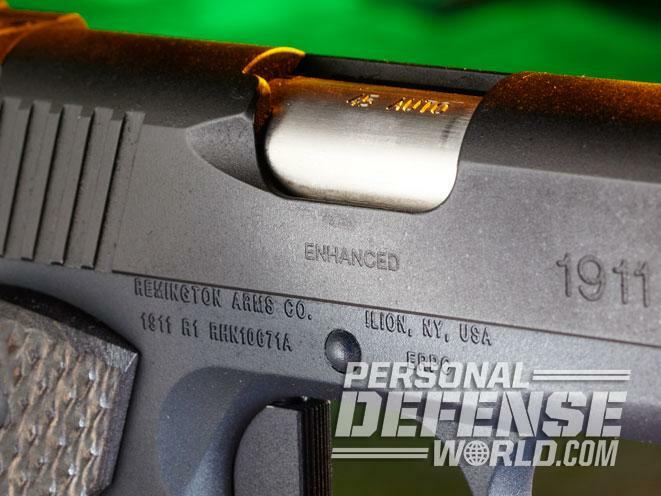 Demand was expected to be high for the R1 Enhanced thanks to these features, the Remington name and the suggested retail of $940. I handled the R1 Enhanced at a trade show and thought it would be excellent for a custom build. 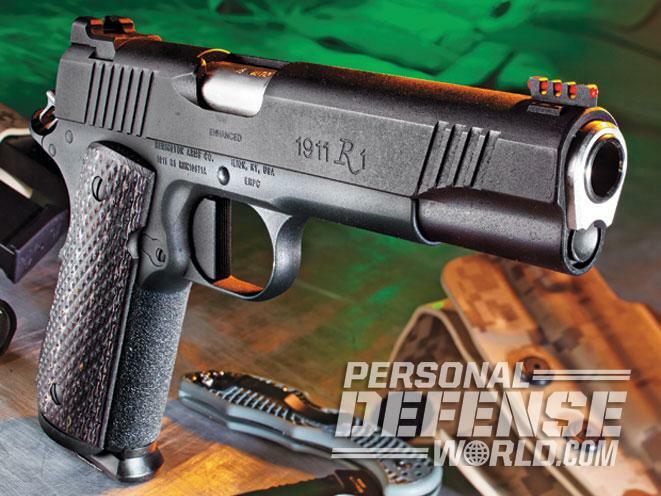 With its accuracy and factory-installed features, the R1 Enhanced offers a solid 1911 base to work from. 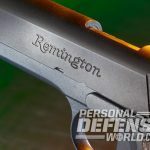 The pistol arrived in a green Remington pistol case that had an interior form-fitted to the 1911, two 8-round magazines, a required lock, a bushing wrench, all the paperwork and, of course, the pistol. 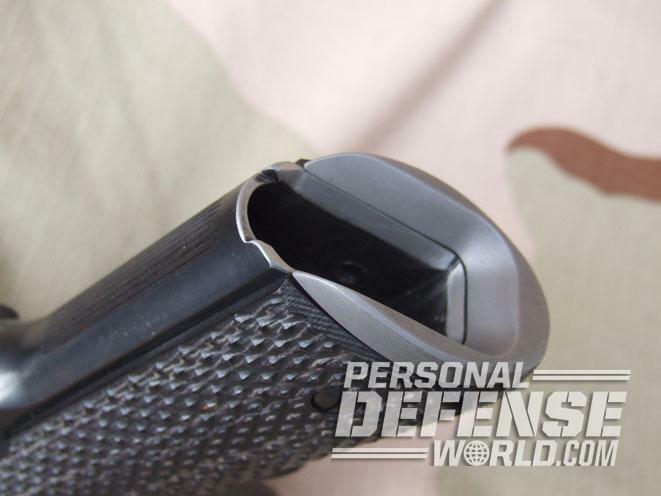 The R1 Enhanced felt good in the hand, the slide moved smoothly over the frame, and I liked the sight picture with the fiber-optic sight in the square notch of the adjustable Novak-style rear sight. 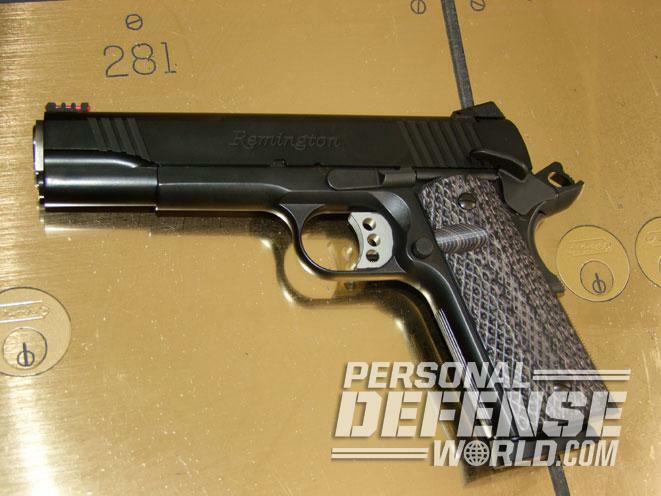 This pistol has a lot going for it—I knew I had made the right choice for a custom build. 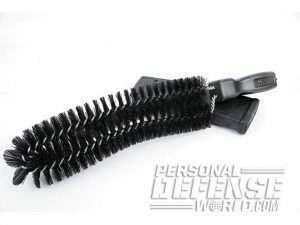 A quick perusal showed that the fit and finish were excellent—I expected nothing less from Remington. The trigger pull was 6.5 pounds, crisp and not bad for a factory 1911. A trip to the range verified that the sights were dead on and the pistol was boringly reliable. 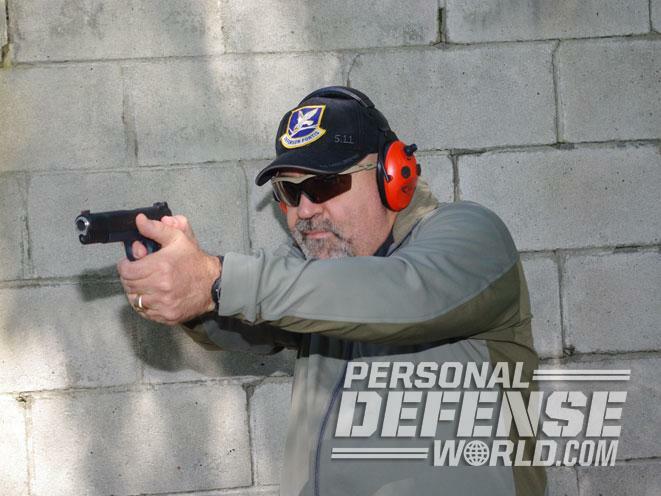 And past experience has led me to believe that this stock pistol would be accurate—it was. The gun had no preference for bullet weight, design or manufacturer. 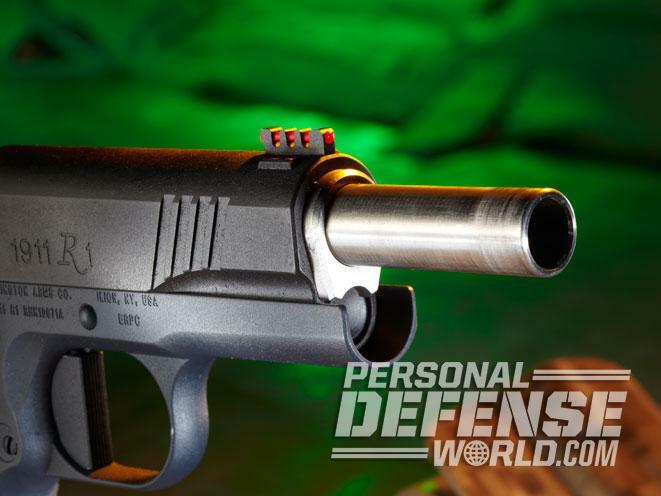 This pistol consistently printed eight-shot groups under 4 inches at 25 yards when fired from a rest. In my humble opinion, with my 50-plus-year-old eyes, I was happy with this, knowing that someone with younger, sharper eyes could shoot it better. That would have to wait. We wanted to ensure the pistolsmith would be able to finish the build in time. 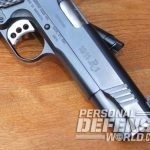 Innovative Custom Guns (ICG), located about two hours east of Pittsburgh, is what we might consider local, and the owner is a former EGW pistol-plumber. I touched base with Jim, the head and only pistolsmith. After a few emails and phone calls, we came to an agreement on the build. This was to be my pistol for carry and competition, so I wanted to keep it simple: trigger job with EGW parts, a better bevel to all the sharp edges, 10-8 sights, a long, flat trigger, a short plug and a Smith & Alexander arched magazine well/mainspring housing—but no checkering, as I prefer to use anti-skid tape, and the gun would be refinished with Lauer DuraCoat. The R1 Enhanced was boxed up and shipped out to south-central Pennsylvania. Jim estimated that he’d have the gun back to me in plenty of time. While the Remington was being worked on, a new carry rig from Comp-Tac arrived. This set was different from the other polymer holsters I use: The magazine carriers and holster are paddle-style and have a huge following in IDPA because they are comfortable, retain the handgun well and allow the shooter to have a fast, smooth presentation. My Comp-Tac was made in desert digital camouflage, a new and different look that would contrast well with the dark 1911. 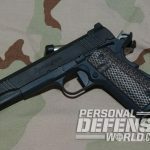 ICG shipped the pistol in early September, and the delivery day was like Christmas: a 1911 built with parts I wanted and to my specifications, not according to what someone else thinks I need. It was really cool. Jim included a list of the work on the R1. He installed the EGW hammer, sear and beveled bushing; fitted the S&A magazine well; seamlessly installed the sights, trigger and short plug from 10-8; and replaced the firing pin stop and extractor, again using EGW parts. Jim had earlier explained to me that the extractor, while it functioned, had some play and that factory firing pin stops tended to crack under hard use, so why take the chance? We just replaced them. 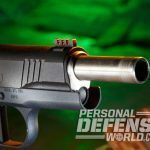 His insight was greatly appreciated and shows that ICG wants to give the customer a pistol that will meet their needs and function properly for years to come. Since I was going to refinish the gun, there were several spots that were in the white. What was important was how well Jim’s work looked and felt. 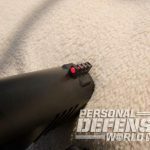 Even being relatively dry, the trigger pull was smooth and crisp, the barrel moved through the new bushing like skates on ice, and the new rear 10-8 sight gave a fast, clear sight picture. To ensure the pistol would function smoothly, I added a few drops of oil, cycled it, dry-fired it, and generally gave it some handling. The trigger job and new trigger felt excellent, breaking just a hair over 4 pounds without any noticeable creep. As the weather had been oppressively hot, I waited for it to cool off—shooting in 90-plus-degree weather is just not fun. 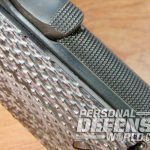 Once the temperatures were in the chilly 80s, I gathered up the newly rebuilt R1, the ammunition and the holster-and-mag carrier and headed to the range. For ammunition, I brought Atlanta Arms & Ammo, Black Hills and Dixie Ammo. 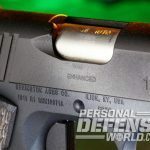 The Dixie and Atlanta Arms loads were 185-grain hollow points, while the Black Hills load was a 230-grain +P hollow point. To round out the selection, I tossed in a variety of factory rounds and reloads. I figured this mix of ammunition would test the pistol’s reliability and function, as well as its accuracy. After loading several magazines with mixed ammunition, I fired round after round to ensure the ICG R1 Enhanced functioned properly. (I did not anticipate any issues, but one never knows.) From my discussions with Jim, I learned that he was perfectionist. That translated to a 1911 that ran flawlessly with some of the nastiest ammunition I had. To be honest, many of the loads were of questionable heritage—I’d bet many were range pick-ups. Don’t cringe. 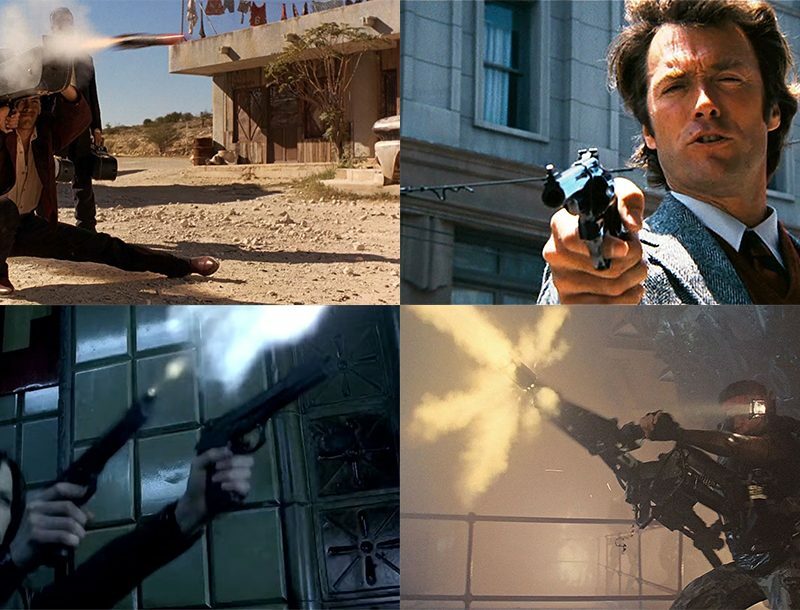 When you shoot Action Pistol you can end up with a variety of range ammunition. 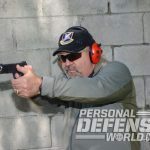 I don’t suggest you shoot it, but it is good for seeing how pistols function in a range rest. I am pleased to report that the Remington made nice piles of ejected brass about 6 feet to my right without any issues. Next on the agenda was shooting and chronographing factory ammunition for accuracy. (I also had a variety of other factory ammunition that I tested, but not enough to truly evaluate the loads. What I can say is the ICG R1 Enhanced showed no preference for bullet weight, load or manufacturer.) 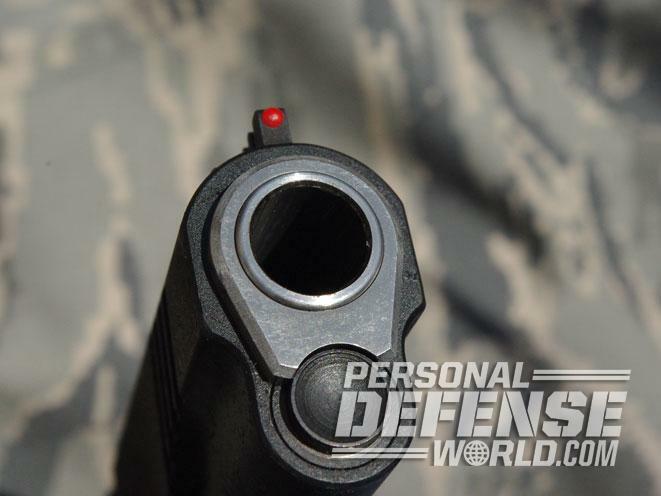 The pistol consistently printed eight-shot groups under 4 inches when fired off-hand. These groups shrank when I repeated this from a rest, as they should. 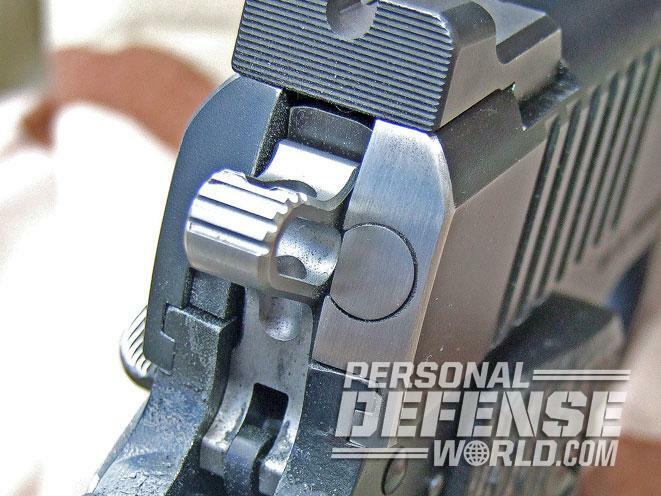 Much of this accuracy comes from the quality of Remington’s barrel, but it is enhanced by Jim’s fitting of the EGW barrel bushing and installation of 10-8’s rear sight. 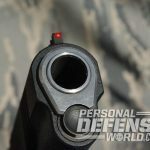 These two items ensure a smooth, consistent action and a clear sight picture, enhancing the 1911’s overall performance. 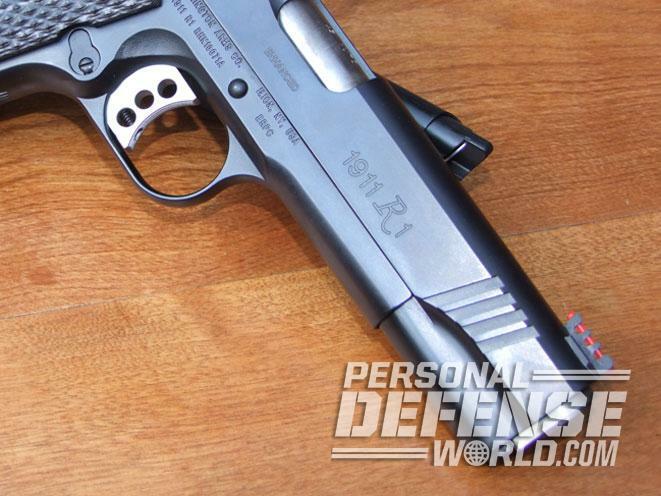 I have no doubt that the pistol can easily shoot groups under 2 inches from a Ransom rest. Over the last few years, very few pistols have made me do a double take. The R1 Enhanced’s out-of-the-box performance was flawless, and now after ICG has revamped the weapon, I am left speechless. 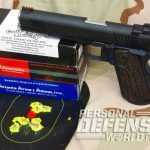 Jim built the 1911 exactly as I wanted, and it performs as well as it looks. I can’t say enough about ICG and the Remington R1 Enhanced. They both meet and exceed my expectations, and my ICG custom R1 Enhanced will serve me for years to come.